Reeves will join former US President Jimmy Carter and former First Lady Rosalynn Carter and the Boys & Girls Club’s Board of Directors as hosts. Also, appearing on the program as a special guest speaker will be Randolph Barksdale, former athletic director and head men’s basketball coach at Georgia Southwestern. Remarks and presentations will be made by City of Americus Mayor Barry Blount, Commissioner Randy Howard, Judge Lisa Rambo, Bill Harris, Sr., Rev. George Monts and Jordan Carter among others. Superior Court Judge George Peagler will serve as the Master of Ceremonies. The children of the Boys and Girls Club of Americus-Sumter County are asking for support in the areas of ticket purchases, corporate sponsorships and/or a donation of items for the silent auction. Your contributions will make a significant difference in a child’s life by affording the Boys and Girls Club of Americus the means to continue enhancing and improving their services and continued growth and development is the reason for this special event. 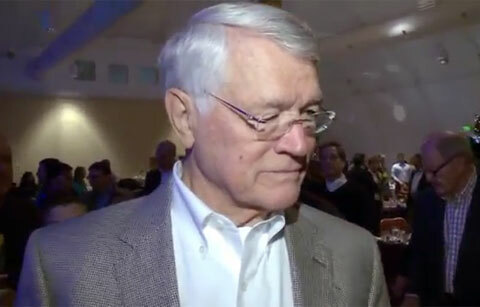 Watch Dan Reeves speaking about Peyton Manning at Fort Wayne YMCA on 4/18/14. As a player for the Dallas Cowboys and head coach for the Denver Broncos and Atlanta Falcons, Dan Reeves participated in eight Super Bowls. He played in two Super Bowls, Super Bowl V and Super Bowl VI and also was an assistant coach in three more, Super Bowl X, Super Bowl XII, Super Bowl XIII, and was Head Coach in four more Super Bowl XXI, Super Bowl XXII and Super Bowl XXIV as the Denver Broncos’ head coach, and Super Bowl XXXIII as the head coach of the Atlanta Falcons. If you would like to book NFL players or coaches like Dan Reeves for a speaking engagement, autograph signing, guest appearance, product endorsement, Super Bowl party, charity fundraiser or special event, you can contact Dan Reeves’ agent for speaker fees at Playing Field Promotions or call 800.966.1380.